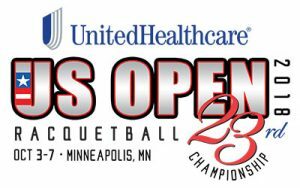 It is upon us: the 23rd Annual US Open of Racquetball, held in Minneapolis, MN. Because of the size of this draw and the fact that it is our sport’s marquee event, I’ll do daily previews instead of talking about the whole tourney at once. r2sports.com home page for the tourney is here. Today, we preview the Men’s qualifying draw. There’s 69 players entered, slightly down from last year’s 73-person draw. The top 16 entered players get byes into the round of 32; the rest play two rounds of qualifying on Wednesday to earn their ticket into the main draw play starting Thursday. This is the strongest draw you’ll likely see all season; 28 of the top 30 ranked IRT players are here (missing out of the singles draw is #25 Sudsy Monchik and #30 Ben Croft, who is only playing doubles this event). And a slew of dangerous international players ranked below the top 30 are here to make waves. – Draw Sizes for all US Opens: (this year’s draw is solid … but comes nowhere close to the biggest ever pro draw in 2003). – Christian Longoria has a fun first rounder against Colombian veteran Andres Gomez. – Tough Mexican Rodrigo Rodriguez makes just his second ever IRT appearance and faces off against IRT touring player John Wolfe. – Mexican 18U player Oscar Nieto faces off against frequent IRT player Troy Warigon. – Fresh off his WOR pro singles title last weekend, Long Island’s Nick Montalbano faces off against one of the Stockton crew; Ricardo Diaz. – Bolivian 16U phenom Diego Garcia Quispe gets a first round date with fellow youngster from Mexico Erick Cuevas Fernandez. Both are still playing in the 16U ranks internationally. – German Marcel Czempisz represents Europe for the first time in a while at this event, facing off against the reigning 16U world champ and 18U Mexican National champ in Sebastian Fernandez. – Two up-and-coming American players face off in Wayne Antone and Kyle Ulliman. Assuming some results, here’s some notable Round of 64 matches we may see and some highlights of the guys seeded in the 17-32 range who might make some noise this weekend. – #17 seed Thomas Carter misses out on a protected seed by one slot; he’s fresh off his first ever pro quarter at the first IRT event of the year in Laurel. He should advance over either Daniel Maldonado or David Austin. 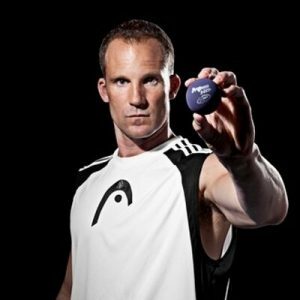 – #25 Scott McClellan (the Ref) may struggle to qualify for the main draw against the winner of Sergio Acuna & A.J. Fernandez. – #24 Rodrigo Montoya Solís has shaken off an ankle injury sustained two weekends ago in the final of the Sonora Open. This is great news for this tourney, as the defending World Champion easily has the talent to advance deep into this draw. If he’s healthy, he has a relatively straight forward path into the quarters, perhaps deeper. He’ll get his first test, likely against Colorado’s Erik Garcia. – #21 Gerardo Franco Gonzalez gets a brutal draw, with country-man Longoria playing into him. Franco is just 1-3 lifetime in top-level competitions against Longoria and may fall victim to the upset here. – Montalbano and Warigon could have a good-ole East coast showdown to advance to the main draw; DC vs NY. – #20 Nick Riffel is the unlucky recipient of a qualifying match against Garcia. I sense an upset here; Garcia played Adam Manilla tough in the pros at Laurel and made the Men’s Open final. – #19 Javier Mar likely faces off against hard-hitting Bolivian Kadim Carrasco. Mar is a dangerous foe in any pro draw; he advanced to the quarters in last year’s US Open, downing two top 10 pros along the way. He’ll struggle to match that feat this year, playing into the #3 seed Kane Waselenchuk if he advances that far. – #26 Luis Conrrado Moscoso Serrudo is one of the biggest names to watch this weekend; his ranking is solely based on his quarter finals appearance last US Open, where he played the King quite tough. He’s no unknown to the rball pro community though; he’s got enough international wins at this point to have long since made his name. – Look for an all-Georgia winner take all and qualify match between Maurice Miller and Austin Cunningham. There’s some great racquetball to be had starting bright and early on Wednesday 10/3/18 (8:15am is the first pro qualifying matches). Look for Facebook Live streaming from the IRT all day. One of WOR – World Outdoor Racquetball‘s 3 biggest annual events of the year is this weekend; its the 2018 3-Wall Ball championships being held in Las Vegas. The courts are constructed outside the Stratosphere Hotel & Casino and the WOR event is combined with Paddleball and Handball events to be a massive outdoor festival in Sin City. More than 200 Racquetball players are entered, including a bunch of international players that should make the pro events quite interesting. Draws are now online at this r2sports.com link. Here’s a preview of the various Pro events. Men’s 3-wall Pro Singles: 9 guys entered. #1 seed Luis Avila is the 2018 outdoor champ and a favorite to make the final. On the other side, Bolivian powerhouse Conrrado Moscoso is in town and will make some noise. I’m predicting Moscoso over Avila in the final. Women’s 3-wall Pro Singles: four players entered; three LPRT top 10 touring pros and veteran outdoor power Janel Tisinger-Ledkins. I’m predicting a Tisinger-Rhonda Rajsich final in the RR stage for the title. They’ve met more than a few times to settle a major outdoor title; see this link for all outdoor finals in the database. Men’s 3-wall Pro doubles: 14 teams, including a ton of very qualified WOR players. I’ll predict a Daniel De La Rosa/Alvaro Beltran versus David Horn/Robert Sostre final, with the current world champs coming out on top. Women’s 3-wall Pro doubles: 4 teams competing RR all weekend. I’ll go with Jacqueline Paraiso-Larsson and Janel Tisinger-Ledkins coming out on top over Carla Muñoz and Michelle De La Rosa . Mixed 3-wall pro doubles: hard to bet against the husband-wife De La Rosa pair, who could face off against Rajsich and tourney promoter and outdoor legend Rick “Soda Man” Koll. This year there’s also One-Wall pro doubles events, with some of the dominant one-wall players in the mix. Men’s 1-wall pro doubles: hard to bet against a team that includes one-wall legend from New York; Horn/Sostre over fellow New Yorkers Nick Montalbano/William Rolon. Mixed 1-wall pro doubles: just two teams entered, but it could be a great match: Rajsich/Koll versus Tisinger/Jason Geis. I’ll go with the lefty/righty matchup here for the title, while also rooting for a DC-area guy Gies. World Champ Montoya takes the tier-4 event in a walk-over final. Hello Fans. We have a break in the schedule this week, but there was an interesting non-Tier 1 IRT event last weekend in Mexico, and another this weekend in Sonora. We don’t normally cover non-Tier 1 IRT events (and we do not load them to the databases), but this draw featured strong local draws of top players that I wanted to cover. So here’s a wrap up of the Tier 4 International Racquetball Tour​ event called Gran Torneo Del San Isidro, held in Torreon, Mexico. We’ll wrap the Sonora Open early next week. The Men’s Pro draw from Torreon is here at r2sports.com. – #1 seed Javier Mar topped Ernesto Ochoa in a tiebreaker. Ochoa made a great run to the 2017 Alamo City open, topping both Gerardo Franco Gonzalez​ and Andree Parrilla​ along the way. – #4 seed Jaime Martell Neri​ was upset by #5 seed Javier Estrada. Martell won the 2018 WRT Georgia Open, downing both David Horn​ and Jake Bredenbeck​ along the way. – #3 seed Alan Natera Chavez​ squeaked by #6 Eduardo Lalo Portillo​ 11-10 in the breaker. Portiollo is still playing in 18U, lost in the 18U World Juniors last year but has a 16U World Juniors title under his belt. He’s part of a crew of players in the 18-22 range in Mexico right now who are all world class. – #2 seed Rodrigo Montoya Solís​ defeated #10 seed Rogilio Ramirez in two. – #1 Mar was stretched to a tiebreaker by #4 Estrada but advanced. Estrada and Mar met in the semis of the 2017 Mexican Nationals, but his career win may be his round of 16 win over world #2 Alejandro Alex Landa ​in the Mexican Worlds selection event in June, knocking Landa out of contention for a spot on the Mexican world’s team. – #2 Montoya cruised by #5 Natera 6,5. Natera has had a fantastic year, making the semis of the 2018 Mexican Nationals as the #32 seed, beating #1 seeded Mar, Gerardo Franco and Christian Longoria​ before falling to world #4 Daniel De La Rosa in the semis. The final unfortunately was a walk-over win by Montoya over Mar, robbing the fans of a potentially fantastic match. Montoya is of course the defending world champ, and Mar beat two top 10 IRT players in Mario Mercado​ and Samuel Murray​ en route to the US Open quarters last October. Mar also topped Montoya in the final of the WRT 2017 La Loma event. Meanwhile Montoya’s capabilities are well known, winning a stacked 2018 World’s event by topping the likes of Luis Conrrado Moscoso Serrudo​, Horn and Charlie Pratt​ in the final. Rocky Carson takes the season’s first pro stop. 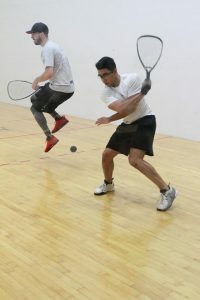 The first event of the new International Racquetball Tour is in the books; lets recap the event. Great turn-out to watch matches Thursday night; we thought there might have been 150 people present at peak capacity watching matches. R2sports link for the tourney. The draw was impacted late in the game, when a points shuffle resulted in Alejandro Landa overtaking Kane Waselenchuk for #2 on tour, and then Kane withdrawing after the draws had been finalized due to a car accident. This meant 3 of the top 8 players were out … but 16 of the top 20 and 22 of the top 30 were present, representing a very solid draw. Congrats to Rocky Carson on his win. This is his 26th IRT tier 1/GS win; he is now just 3 titles behind Jack Huczek for 5th all-time on tour. Click here for a list of most titles won on tour. Here’s a review of the matches I found notable per round, highlighting upsets and tough wins. Gerardo Franco got a solid win over country-man Jordy Alonso, a player he hadn’t beaten on the professional ranks before. Atlanta native Maurice Miller got a good win over veteran Colombian Set Cubillos. Adam Manilla outlasted the 16-yr old Bolivian phenom Diego Garcia in a tie-breaker; Garcia played quite well for his pro debut and went on to make the Open finals in a very deep draw, taking Acuna to a tiebreaker. Felipe Camacho beat home town favorite Dan Fowler despite the local rooting interest. Legendary New Jersey player Mitch Posner managed to score a point, losing to Andres Acuna 1,0. Playing on his home court, Troy Warigon took a tight match 14,14 over Costa Rican Sergio Acuna. Robert Collins took out another local favorite, North Carolina’s Brent Walters 14,12. Long Island’s Nick Montalbano beat “the Ref” Scott McClellan in two. Gerardo Franco continued his run, topping Nick Riffel to qualify for the main draw. Andree Parrilla won the last match of the night Thursday night, ending at nearly 11pm, topping Miller in a solid 11,8 win featuring back and forth action. Andres Acuña topped fellow veteran IRF player Camacho 11,6 to advance to the main draw. In one of the best matches of the night, Jake Bredenbeck topped Stocktonian Mauro Rojas in two tight games 14,11. These two big hitters blasted balls at each other all match and Jake came out on top. Look out for Rojas, who just graduated from 18U; he has every much the power as Jake and could surprise a top 8 player soon. The longest match of the 32s may have been Thomas Carter outlasting Texan Justus Benson in a tie-breaker that lasted an hour and a half. His prize? A walk-over into his first career quarter-final. Jose Diaz took out local favorite Warigon in two games … and had to do it despite the largest crowd of the night rooting against him the whole way. Montalbano continued his good run, topping another IRT touring vet in Collins to advance to the main draw. Montalbano becomes the only non-touring pro/local player to advance to the main draw at this event. #1 Rocky Carson advanced with ease over G. Franco. #9 Parrilla surprised #8 David Horn, showing no signs of fatigue from his two-match qualifying late into the previous night, winning in 2 to force a Carson showdown. Manilla earned his third ever quarter, topping DC-area resident and #5 seed Mario Mercado 11-10. Great tourney for Manilla, who I thought was a candidate to get upset in the 64s … serves me right for picking against him; now he’s in the 8s. #4 Sebastian Franco cruised into the quarters, topping Acuna. #14 Carter got his walk-over over #3 Waselenchuk and his first career quarter finals appearance. #6 Samuel Murray had a solid win over Bredenbeck, advancing in two games 13,7. I thought this had upset potential, especially after Murray’s struggles at Worlds, but this was a solid win. #7 Jansen Allen held off Jose Diaz’s upset attempt to get to the quarters. #2 Landa advanced easily over Montalbano, ending the local player’s run. #9 seed Parrilla had the match on his racquet at 10-10 in the breaker, and blew a game-winning pass into the ground. #1 Carson took advantage and won the ensuing rally to advance by the skin of his teeth. #4 Franco ended Manilla’s excellent tourney 9,4. #6 Murray outclassed Carter 2,11 to advance to the semis. #2 Landa overcame a big 1st game deficit to the cruise over #7 Allen. The semis thus represent a “chalk” draw of remaining pros, featuring #1, #2, #6 and #4 seeds. In the upper semi, #1 Carson rebounded from his near defeat in the quarters to trounce home-town favorite #4 Sebastian Franco in two. In the other semi, #6 Murray secured his first pro win over #2 Landa, and also his first ever pro Tier 1 final, with a solid tiebreaker victory over his frequent doubles partner. In the final, Carson and Murray met for the 6th time professionally …. and Carson made it 6-6 with a solid 2-game victory to claim the season’s first title and extend his grip on the #1 ranking on tour. Next up for the tour is the US Open. I had a great time Thursday night meeting players and talking stats with the IRT staff. I got some great, great suggestions for site augmentation and hope to spare some time coming up to develop and add some awesome new functionality. Stay tuned for announcements here to that end. (Editor’s Note! I’ve modified this post in the predictions section: after its publication Kane withdrew and the rankings/seedings flipped Kane and Landa, so I’ve corrected the text to account for this). Welcome to the 2018-19 International Racquetball Tour season! The draw is up for the first event so lets talk about it. Click here for the r2sports.com Tournament link. Or, if you cannot read this link, go to www.irt-tour.com and click on the link directly from the home page. Or wait til Thursday when the brackets for the whole tourney are released in full on r2sports.com. After a summer of angst over the status of 12-time champ Kane Waselenchuk, the sports most dominant player is in the first draw of the season and will be looking to extend his current on-court winning streak of 61 matches, which was interrupted for months last season by a knee injury that eventually cost him the year end title. However, after the draws were posted; Kane reportedly suffered injuries in a car accident and withdrew. He’ll remain in the draw and a lucky qualifier will get a bye into the quarters. This is the first ever Men’s pro event held at the well-known (to Mid-Atlantic tournament players anyway) Sportfit Laurel club, which currently also hosts the annual LPRT Christmas classic and which has hosted an annual event called the Wintergreen Classic in Jan/February for more than 30 years. This is also the first time the Men’s pro tour has played in Maryland since the early 1990s, when the Merritt Security club outside of Baltimore used to host one of the VCI challenger series events every year. It is also the first time the Men’s tour has returned to the Washington DC area since 2003, and as a DC-area resident i’m obviously excited to be able to *drive* to see the Men’s pros for the first time in 15 years. The Laurel club is unique for its court construction. They are panel courts, but a construction design choice spaced out the support beams a bit too far, leaving the courts being quite “slow,” even for panel courts. I wonder if this will be a source of frustration for players, especially those who are used to playing faster, concrete courts or who are used to playing at elevation. One other personal note about the club: Sportfit Laurel was the first racquetball club where I ever played. I joined in early 1994 and played there until moving to Northern Virginia in December 1997. It has long held a large, vibrant racquetball community and was an awesome place to learn how to play. I’ll be at the club Thursday night (Hurricane willing) for all of qualifying and look forward to catching up with the community. Enough about the club and my personal history there; Lets take a quick look at the draw: There’s 40 players entered, a healthy draw that is the largest non-US Open draw since Sept 2014 and portends well for the depth on tour this year. Top 20 IRT players missing: three: #4 Daniel De La Rosa, #5 Alvaro Beltran, and #12 Charlie Pratt. Beltran and Pratt were in the draw as of Monday but were late withdrawals (Beltran to injury, Pratt to the Hurricane). These two missing top 8 players gives Sebastian Franco a #4 seed, a career best and a potential semi against Rocky Carson, a good early test for the defending champ. Interesting international players attending: Andres Acuña and Sergio Acuna from Costa Rica, Jordy Alonso, Set Cubillos Ruiz, Erick Cuevas Fernandez, and lastly Bolivian Diego Garcia, a 16U player who made the semis of worlds this year who is coming up on a RYDF sponsorship to get a taste of the IRT in person. 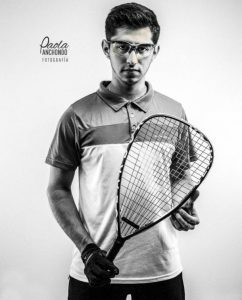 He could be the next best thing from the racquetball-mad country of Bolivia and he could be an interesting watch. East coast top players entered who we don’t normally see elsewhere: David Austin, Geoff Heskett, Maurice Miller, Nick Montalbano, Troy Moore, Pedro Meruvia, Jamal Harris, Brent Walters and semi-regular IRT tour player Troy Warigon, who is the only pro entered who plays out of the Laurel club (that technically may not be totally true; I think Sebastian Franco also plays out of Laurel but don’t quote me on that). Special Mention in the draw; former top-10 touring pro Dan Fowler is entered into the draw, looking to appear in a Men’s pro event for the first time in nearly 10 years. His last on-court pro appearance was in January 2009, and he stopped touring professionally in Oct 2004. Fowler and his wife Doreen Fowler (herself a former touring ladies pro) are both DC-area residents, have a long history of giving lessons and clinics in the Suburban Maryland area, and currently own and run a health club in Suburban MD. Its great to see Fowler back on tour even if its just for one event. One other Special Mention: New Jersey legend Mitch “Captain Charisma” Posner is attending … he’s entered into Pros … and 60+. I’m sure he’ll be decked out in his trademark all-Red for his pro match. – Gerardo Franco v Alonso: tough opener for both Mexicans, who fly an awful long way to play each other. Alonso owns a 2-0 h2h lead over Franco on the WRT, but it was Franco who had two top-10 wins on the IRT last season to leave an impression. could be pretty close. – Garcia-Adam Manilla; this could be a shocker; Garcia is an unknown junior from Bolivia who could be a sleeper. Possibly a tough opener for Manilla, or perhaps a cake-walk facing a youngster who is an awful long way from home. – Felipe Camacho – Fowler: an interesting match between the veteran IRT player Camacho and the former top-10 player Fowler. Can the retired veteran return to his top 10 form for a night? If so Camacho may be in trouble. – Heskett – Thomas Carter: its a cross-state match-up of PIttsburgh area-based Heskett and Philadelphia area-native Carter. And its a golden ticket into the quarters so expect a heavily contested match. – Robert Collins – Walters; a tough match up of regional top player Walters and IRT veteran Collins; could be an upset here. – Garcia-Cuevas Fernandez: an intriguing match=up of younger international players … which may not happen since both face tough first rounders against regular touring vets; this could easily be Manilla-Wolfe instead. – Bobby Horn vs Andree Parrilla; 8/9 is always tight; Horn owns h2h 3-1 across IRT, WRT and IRF. Advantage Horn. – Mario Mercado – Garcia: Mercado ends the cinderella run of the 16 yr old. – S. Franco over Acuna: this IRF-style match between two veteran int’l players should be an easy victory for the “home town” Franco. – Bredenbeck over Samuel Murray; first big upset; Bredenbeck has beaten Murray before and has the power to keep up with him. Jake is better than his seeding and ranking and will take a big step forward this tourney towards improving both. – Jose Diaz over Jansen Allen ; Diaz beat Allen in two in April but they’re 2-2 h2h on the IRT: I expect a close Diaz win for the upset. – Alejandro Landa over Walters: Landa’s been given a clear path to the finals and may not be stopped. – Carson-Horn: Horn has never beaten Carson, but Horn has also never been better. He’ll look to draw upon his international summer and his increased training to topple the 2017-18 champ. – Franco over Mercado: these two country-men have never met officially in any capacity that I track, though i’m certain they’ve played a thousand times both hailing from Cali, Colombia. I’ll go with Franco. – Bredenbeck over Carter: Jake’s string of unlucky draws ends here. Semis and Finals predictions: I’ve gone pretty much chalk: 1-4 versus 3-2. – Carson over Franco; he’s 8-0 lifetime over Sebastian and has had the summer to recover from his knee operation. – Landa-Bredenbeck; wow, interesting match of contrasting styles here. Landa is 5-0 lifetime over Jake and has historically done a good job of mitigating Jake’s power game. I’ll predict he makes it 6-0 here. Welcome to the new season! Can’t wait to see some racquetball!